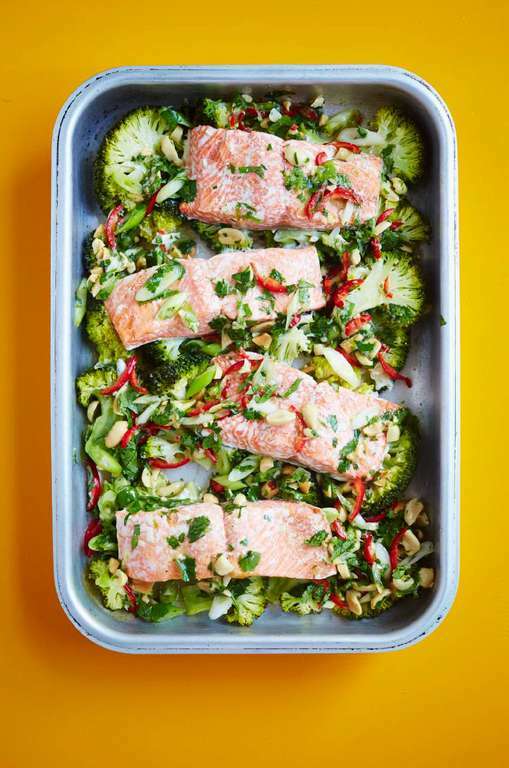 All-in-One Salmon & Broccoli with Lime, Ginger, Garlic & Chilli from The Roasting Tin by Rukmini Iyer. 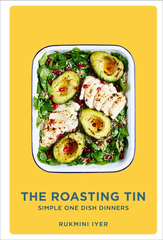 Get your copy of The Roasting Tin. 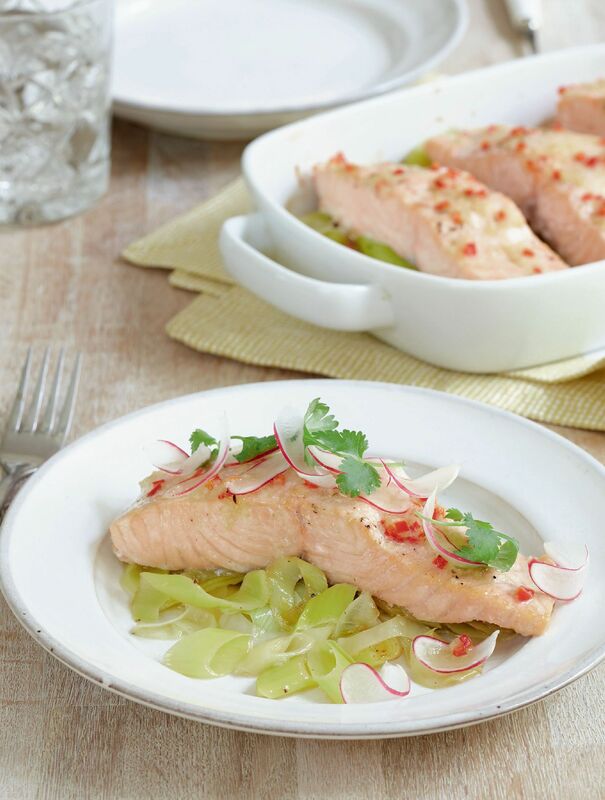 Yuzu Salmon with Buttered Leeks from Mary Berry Everyday by Mary Berry. 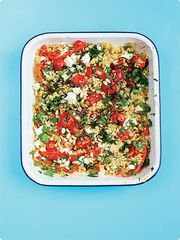 Get your copy of Mary Berry Everyday. 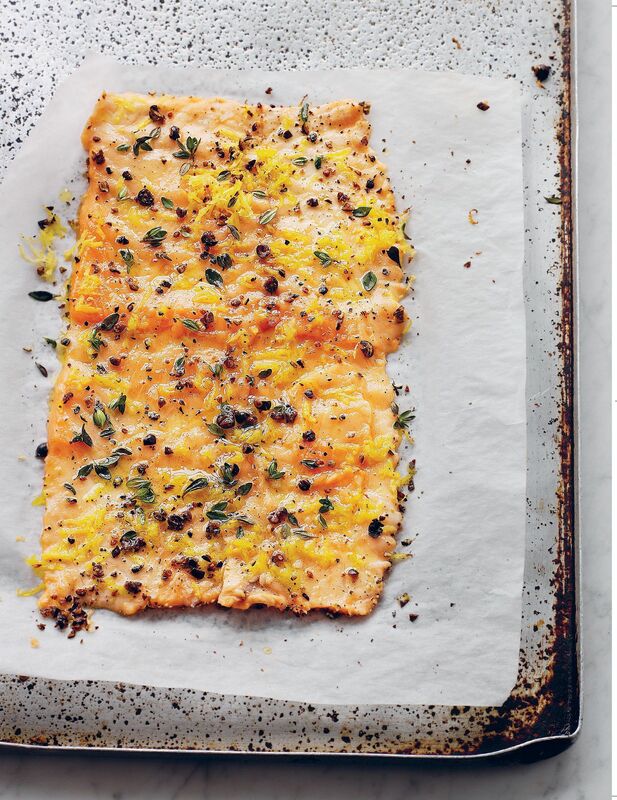 Salmon Baked with Juniper and Lemon Thyme from Tom Aikens: Easy by Tom Aikens. 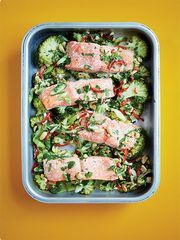 Get your copy of Tom Aikens: Easy. 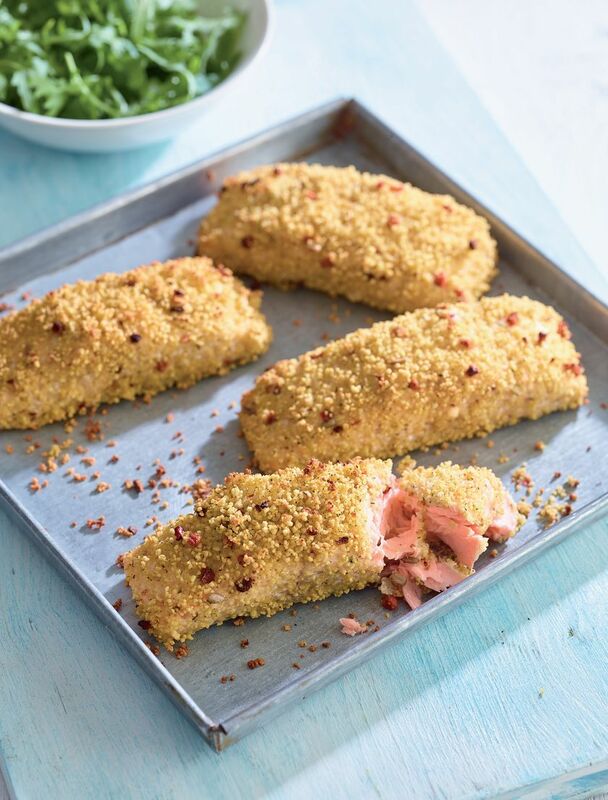 Couscous-coated Salmon from The Savvy Shopper's Cookbook by Amy Sheppard. 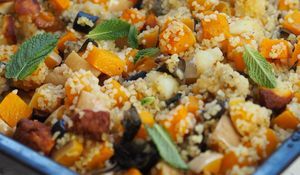 Get your copy of The Savvy Shopper's Cookbook. 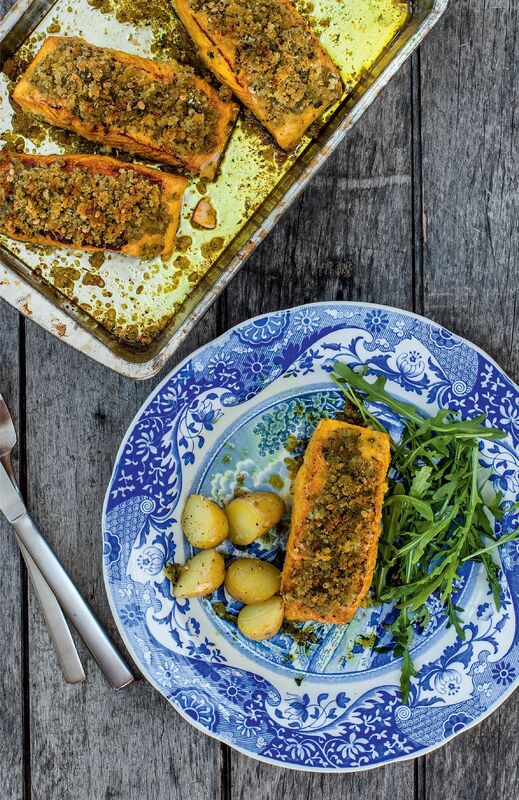 Cyrus’s Indian Herb-Crusted Salmon from The Incredible Spice Men by Cyrus Todiwala. 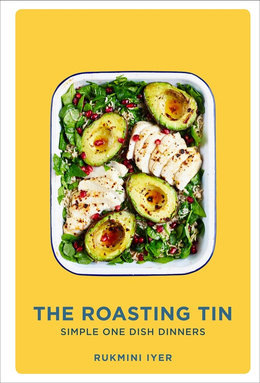 Get your copy of The Incredible Spice Men. 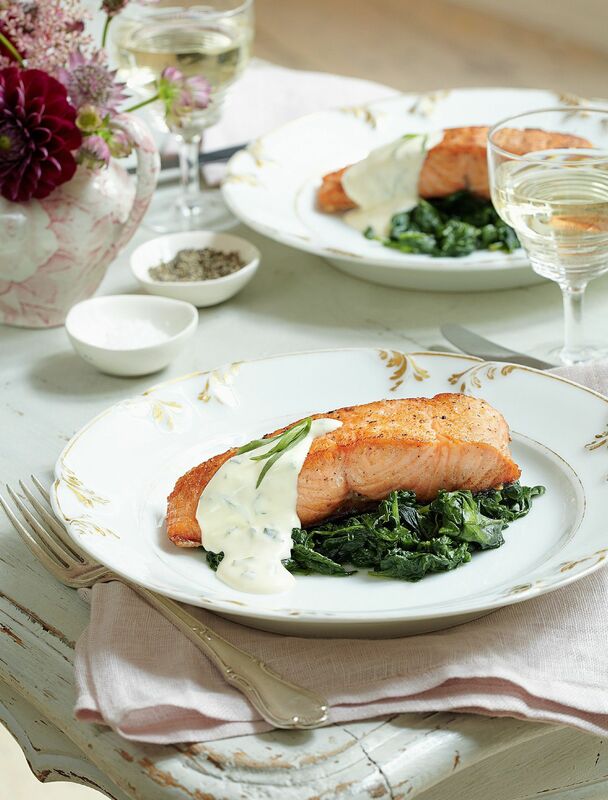 Salmon Fillets on a Bed of Spinach with Tarragon Sauce from Mary Berry's Absolute Favourites by Mary Berry. 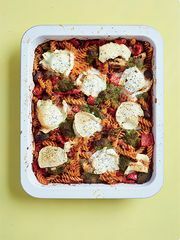 Get your copy of Mary Berry's Absolute Favourites. 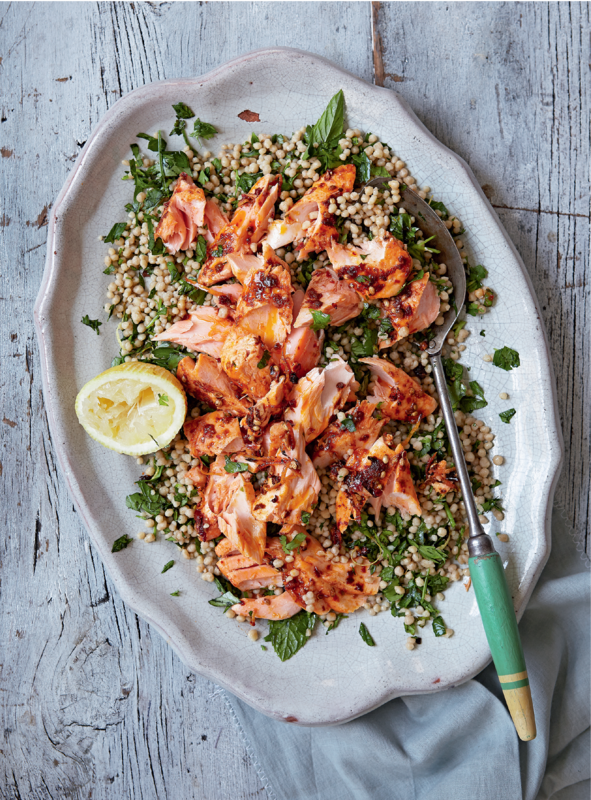 Roast Harissa Salmon With Lemony Giant Couscous from The Great British Bake Off: Winter Kitchen by Lizzie Kamenetzky. 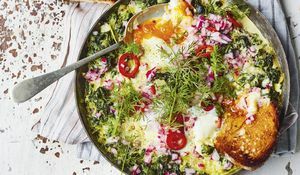 Get your copy of The Great British Bake Off: Winter Kitchen. 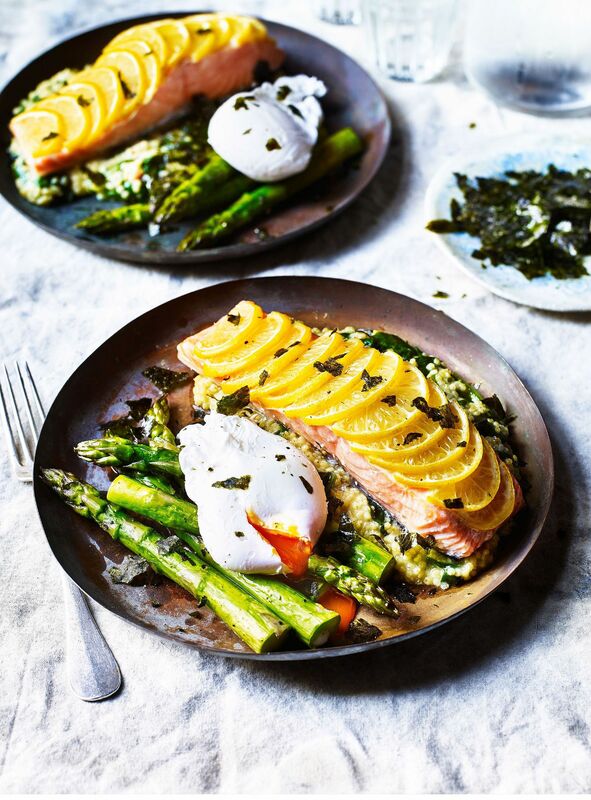 Baked Salmon with Crispy Seaweed, Poached Egg & Asparagus from Mindful Chef by Myles Hopper and Giles Humphries. Get your copy of Mindful Chef.